Over the period of four years Ethernet Orchestra have collaborated with networked visual artists Helen Varley Jamieson, Neil Jenkins, Graziano Milano and Michael Szpakowski who have mixed live cinematic visual collages to a number of our performances in the networked A/V platform VisitorsStudio. Performances include the Distant Presences and Oceans Between Sound series of performances, which can be viewed below. Distant Presences I – Live on FBi Radio, Sydney, 2011. Distant Presences was first performed live for Sydney’s FBi Radio program “Sunday Night at the Movies.” It is an audiovisual networked music performance that reflects the nature and aesthetic of the ensembles dispersed interaction. As divergent musical cultures meet in improvisation, the performance is an audiovisual meditation on the multifarious nature of location and being in an innovative form of radio you can watch. Oceans Between Sound was a series of two audiovisual networked music performances for the UpStage Festival of Cyberformance, 2012 featuring Ethernet Orchestra and networked visual artists Graziano Milano and Michael Szpakowski (UK) mixing visual collages to the ensembles improvisations. 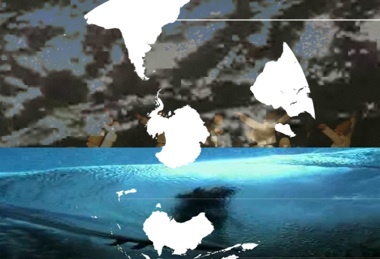 Exploring areas of intercultural tele-improvisation between world cultures, the narrative of the work considers the ebb and flow of network data as a metaphor for the world oceans separating the members of the ensemble and their dispersed lives. The performances also provided source material for the album, which can be heard throughout. Bukhu Ganburged – morin khuur (horse fiddle and throat singing), Roger Mills (processed trumpet), Aref Toloei (tar).